With 2.4 million inmates, the United States has the highest prison population of the world. Behind only Seychelles, we also have the second highest incarceration rate. The United States makes up only five percent of the world’s population, yet we have twenty-five percent of the world’s prisoners. These are alarming statistics, but what do they really mean for our nation? As a nation, we’re led to believe that people who break laws are bad and should be put behind bars. We never consider much past that– how long they should be in prison, where the money comes from, what happens to the prisoners after they’re released. The sad fact about released prisoners is that the majority of them are incarcerated again. A study showed that 62.5% of released prisoners were convicted of another crime after being released from prison. Two-thirds of them committed another crime within just one year of their release. What good is a prison sentence if an inmate is going to repeat the same actions upon release? You’ve only temporarily delayed new crimes from being committed. Shouldn’t our nation be aiming for a higher goal? Isn’t prevention what we should be targeting? The United States prison system is severely suffering when it comes to reforming inmates. A prison sentence alone is not enough to keep a prisoner from committing future offenses. This fact is abundantly clear when juvenile detentions are taken into consideration. A study of Chicago youth incarceration showed that young offenders were sixty-seven percent more likely to be in jail again by the age of twenty-five. What’s even worse, is that they were more likely to commit violent crimes, including homicide. On average, it costs twenty-four thousand dollars per inmate per year. Billions are spent on incarceration every year. The billions of dollars that go into keeping these prisons not full but overcrowded would be better spent on alternative sentencing programs. Changing Lives Through Literature is an excellent example of a program that truly works. A study showed that less than fifty percent of graduates committed a new offense after completing the program. Why is this program so more effective than incarceration alone? Students in the program are are learning hands-on in the classroom, gaining the tools necessary to reevaluate their decisions and change their perspectives. Locking away everyone who breaks the law is not only not possible, but also not feasible. We need to recognize the issues associated with the prison system, and just as the Changing Lives Through Literature students learn to change their perspectives, we need to as well. Alternative sentencing programs overall produce better results than prison sentences and are often less expensive. This is the direction we need to head towards, instead of relying on prison sentences. As alternative sentencing gains in popularity, many will wonder just how this form of “punishment” enlightens offenders. Instead of sticking people in jail to think about what they have done—usually devising better ways to be criminals—literature and support groups can help offenders realize how their decisions affect those around them. Characters and stories in literature can impact how an individual processes information. A well written novel correlating to an offender’s specific crime can create more of a positive impact on the offender’s mind, compared to being locked up. How can literature be so inspiring to those who read it? Well written novels can develop characters that readers can connect with on an emotional level. These connections can stir emotions as tribulations unfold within the novels causing readers to care about what happens to the characters. 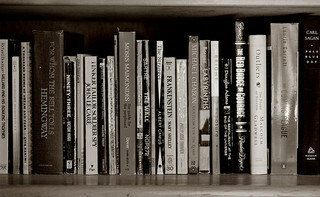 Connecting with literary characters can lead offenders to emotionally bond with the stories. Understanding the characters’ decisions can help offenders begin to understand why circumstances happen and how to deal with them in ways other than breaking the law. If offenders can discover how their actions affect the world around them, it could lead to enlightening realizations of how their actions hurt those involved. The imagination is a powerful tool. It can create objects of wonder or items of destruction. Using their imaginations could help them realize the damage they have wrought with their actions. By helping offenders analyze their circumstances in relation to literature, there is a good chance that they will have an epiphany about their own experiences and how their surroundings were affected. One of the most important aspects of alternative sentencing through literature is the presence of supportive individuals who help offenders discuss the nature of each chosen novel. Most of the support groups using alternative sentencing methods consist of visits by parole officers and the judges who sentenced the offenders. This could be a vital piece of the puzzle—it shows the offenders that there are those that care about whether they succeed or not. Whether it is the Bible or a coveted novel, the stories and characters in books can reveal a lot about who you are. This isn’t saying that books can cure all criminal intentions, but they can go a long way in helping some offenders see how their actions can lead to a ripple effect in the pond of life. Jack Meyers is a regular contributor for www.nannybackgroundcheck.com. As a detective he wants to spread the knowledge of the terrible things that can happen when people don’t fully verify the credentials of a caregiver or any employee. He also writes for various law enforcement blogs and sites. Judge Bettina Borders, of Bristol County Juvenile Court, was named 2012 SouthCoast Woman of the Year. She made “contributions to the community as a justice and activist,” according to the New Bedford (MA) Standard-Times. Her work includes making use of alternative sentencing programs such as Changing Lives Through Literature. Read reporter Natalie Sherman’s full article about this amazing Woman of the Year. Is someone in your community changing lives for the better? Tell us about that person. To submit brief comments, use the comments link at the top of this post. To submit longer comments, or to include images, email me at cltl@umassd.edu. We look forward to hearing about the remarkable, and perhaps under-recognized, people in your communities. While reading, you use your imagination to visualize a story’s characters as if they’re starring in a movie within your mind. Although the author’s words greatly impact the flow of your mind-movie, your imagination fills in the blanks. Reading about characters who have similar circumstances to yours can help shed light on your own situation. This is one of the base beliefs behind the alternative sentencing program called Changing Lives Through Literature. How can literature encourage positive change in a criminal’s way of thinking? 1. Reflection: When offenders openly analyze their own lives through literary characters, they get a chance for inner reflection that they may never have explored before. They put themselves in the spotlight for self-examination. 2. Positive Role Models: After ordering CLTL classes as part of sentencing, judges may attend the classes involving the offenders-turned-students. By contributing to the literary discussions, the judges start becoming positive role models in the students’ lives—possibly changing how the students view the world. Parole officers can become role models just as much by participating in the students’ progress in the classes. This can greatly increase the chances of rehabilitation and reduce the likelihood of re-offending. 3. Self-Worth: In order for the program to work, students must have a capacity to accept responsibility for their actions. Students must show and demonstrate that they can be proactive in their own rehabilitation. For some, it is difficult to rely only on themselves to stay motivated enough for better lives. Family histories can be pivotal to how students adapt to this method of rehabilitation. 4. Perspective: This alternative method of sentencing is more than just a book club. The literary works chosen reflect students’ lives—either through the characters or the situations. It’s a way for students to examine their actions from the perceptions of others. As their imaginations explore the settings, the literature often drives a point home better than more jail time would. 5. Safety: The philosophy behind CLTL is such that it allows students to feel safe when discussing literature. Students open themselves up and discuss the actions of literary characters, and how the characters relate to themselves. Alternative sentencing methods for criminal offenders has had great success. Support is growing for methods such as these. Words can be powerful to those who are open to their meanings. We should embrace the success of CLTL and support rehabilitation over punishment to those who need it and who are willing to benefit from it. Sara Dawkins is an active nanny as well as an active freelance writer. She is a frequent contributor of http://www.nannypro.com/. Listen to Dr. David Sherman of Brandeis University interview Changing Lives Through Literature co-founder Dr. Robert Waxler. They talk about the relationship between literature and jail in this “Convicted Reading” Literature Lab podcast. Brazil’s prison system has come up with an innovative program to shorten the sentences of selected prisoners: Redemption Through Reading. The basic premise is that prisoners can take four days off their sentences for every book that they read, at a maximum of 12 books a year. They can choose from classic works of literature, philosophy and science, and must write a grammatically correct essay on each book. Lawyer Andre Kehdi praises the benefits of the program, as prisoners leave “more enlightened” and with an “enlarged vision of the world.” While prisons have long had libraries and educational programs, more prisons are recognizing the specific positive social effects that reading can have on inmates. A major dilemma with prisons is recidivism. Once acclimated to a life of crime, many prisoners become repeat offenders. For example: Over 50 percent of Colorado inmates return to prison within only five years, according to the Colorado Department of Education. One way to break this cycle is to reduce the levels of low literacy among prisoners, giving them access to educational materials, current news, topics of interest and a more constructive way to “manage their leisure time.” Fast Facts – Recent Statistics from the Library Research Service indicates that 83 percent of released prisoners claim that the prison library helped them to acquire life skills needed in order to be successful in their communities. ProLiteracy America offers some sad statistics: Almost half of prisoners enter prison without a high school diploma, and the average reading level of prisoners is below the fifth grade level. Prisoners lack the reading skills needed to be successful members of society prior to entering the system. Quality literacy programs in prisons may be their last opportunities at leading normal lives upon their release. ERIC Digests offers several suggestions for reading programs that will help prisoners build their literacy skills and, in turn, their ability to be successful in the community. As with all students, prisoners have different strengths and learning styles, so meaningful materials should be selected. Materials written by former prisoners can be very powerful. Special incentives and awards can also be motivating, and the low funding can sometimes be overcome with local volunteer tutors, who additionally provide inmates with connections to the outside world. Literacy building should not be dropped after a prisoner is released. Prisoners need transition plans, with skill-building programs that continue to follow and support them. Stanford University conducted studies that show a strong connection between reading and social skills in children. Poor readers tend to show increased aggression that they carry with them through the end of their formal schooling, necessitating interventions that focus on closing the gaps early on. The good news is that it is never too late to gain literacy skills and develop a love for reading. An example of this is Jim Henry, a fisherman who learned to read at 92 and went on to become an author at 98. People can turn their lives around with enough will power; books may just unlock that hidden potential. Joshua John works in community relations for the University of Southern California’s Virtual Master of Social Work program, which provides social workers the opportunity to earn online social work degrees and apply for social work licenses.